​The Law Enforcement Torch Run® (LETR) is the largest public awareness vehicle and grass-roots fundraiser for Special Olympics. Known honorably as Guardians of the Flame® law enforcement members and Special Olympics athletes carry the Flame of Hope into the Opening Ceremony of local competitions, and into Special Olympics State, Provincial, National, Regional and World Games. Annually, more than 97,000 dedicated and compassionate law enforcement members carry the Flame of Hope, symbolizing courage and celebration of diversity uniting communities around the globe. ​The LETR for Special Olympics engages law enforcement worldwide championing acceptance and inclusion for people with intellectual disabilities, starting first with their own communities. 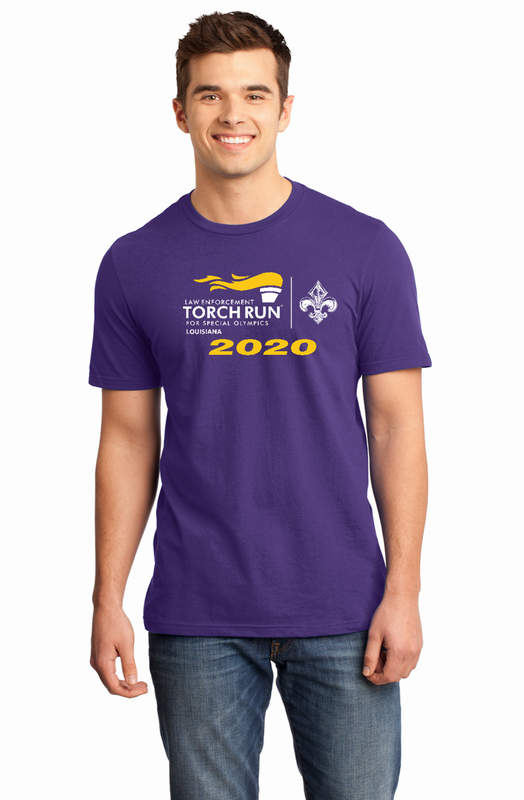 Over the years the Torch Run has evolved and now encompasses a variety of innovative fundraising platforms to include Plane Pulls, Polar Plunges, Tip-A-Cops, and more. Since inception, LETR has raised more than half a billion dollars and changed millions of attitudes worldwide. ​Special Olympics Louisiana is proud of the dedicated law enforcement personnel from all over the state who are committed to raising thousands of dollars for our athletes and increasing public awareness to our Program. Nearly 2,000 law enforcement personnel are involved in Louisiana LETR efforts and raise over a quarter of a million dollars annually for local programs. ​While talent makes plays — teamwork makes a statement. Get your game on and join law enforcement to support your community athletes! Anyone can be a champion of change. Changing the world is a contact sport and Special Olympics is an everyday opportunity to make a difference. Yet for every champion, there are others who are waiting for the chance to win. With your support, we can come one step closer to ensuring that no athletes are left on the side-lines. Help transform the lives of individuals with intellectual disabilities, their families and your community — where your small part can make a big difference.